Sewage Contamination demands Immediate Cleanup! Sewage spills are nasty, and necessitate immediate cleanup to restore a healthy environment. Complete Clean Water Extraction can cleanup the spill. Whether the spill is from a toilet overflow or a clogged sewer pipe, the ensuing mess is never pleasant. Sewage water damage, also known as "black water damage" is considered a Category 3 (the most extreme) type of water damage by the IICRC. Black water is a serious property and health concern. Complete Clean Water Extraction can clean up black water. The contaminated water contains viruses and bacteria, such as hepatitis and salmonella, which can lead to serious illness. 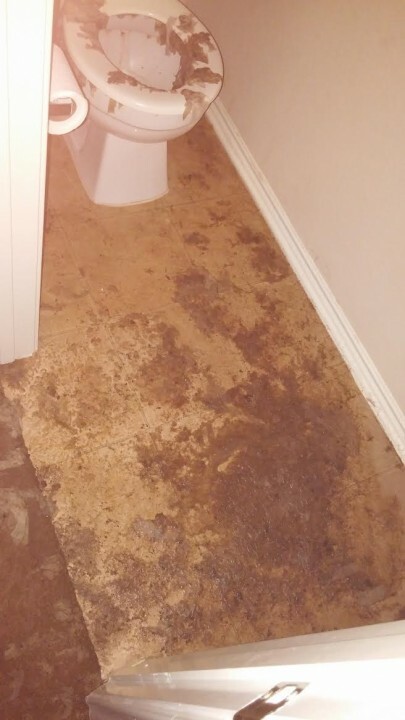 Regular water damage restoration is not sufficient to resolve sewage damage. Call Complete Clean Water Extraction to restore your home or office after sewage / black water damage. Check out our photos for more information.